Available in 8', 9' y 10' depending on your needs. Comfort and safety to surf all types of waves. The leash is an essential element for your Paddle Surf sessions, and with this Dakine model you can surf waves of any size safely. Serious swells call for a serious leash, the Kainui Big Wave leash offers the security you need in double overhead to triple overhead surf. The Kainui is your go to leash when the conditions start trending bigger. 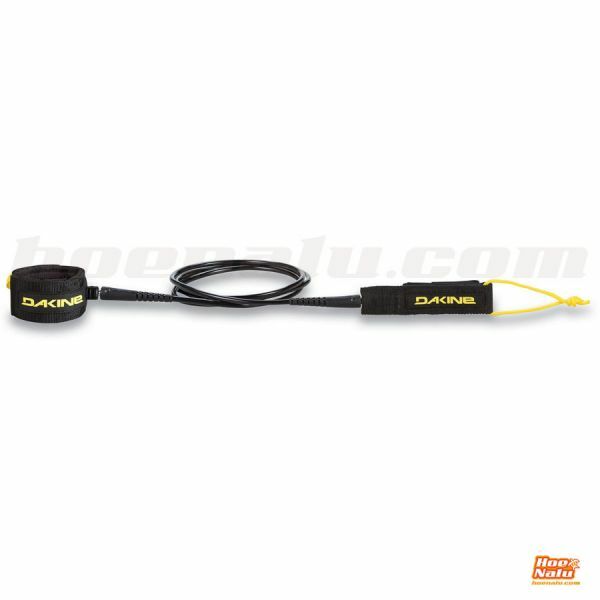 The Kainui surf leash is offered in 8, 9 and 10 feet lengths. This leash is a continuation of Dakine's dedication since 1979 to making and refining surf leashes that protect both surfers and their boards in the most consequential conditions.